Located in the environmentally rich area known as Sierra del Rosario, west of Havana which was declared a Biosphere Reserve in 1985 by UNESCO. Admission to the area is CUC$ 4 per person, or you can get a day tour from your Hotel. Las Terrazas is a beautiful place, incredible attractive for ecotourism and for visitors who find in nature a source of pleasure. Las Terrazas is a natural habitat of exuberant flora and endemic animals, including precious bird species as the Cuban national bird Tocororo whose plumage has the same colours as the Cuban flag. Unique adventure in Cuba, the latest exciting activity to hit your life. Swing from the platform above the beautiful tropical forest and the lake. 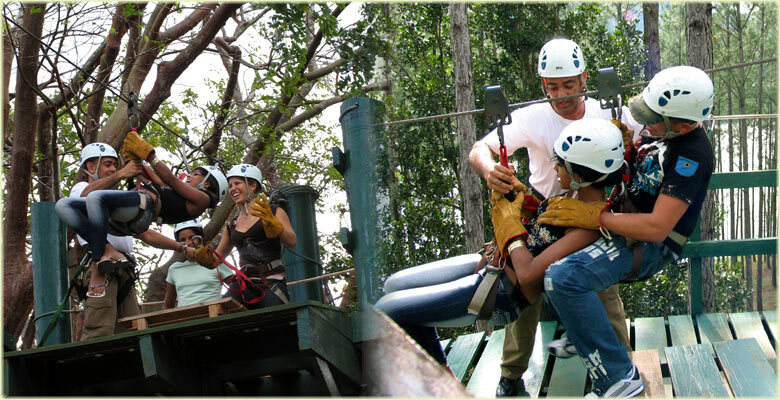 Canopy La Terrazas, which is located about 70km west of Havana, is the hottest and coolest experience. 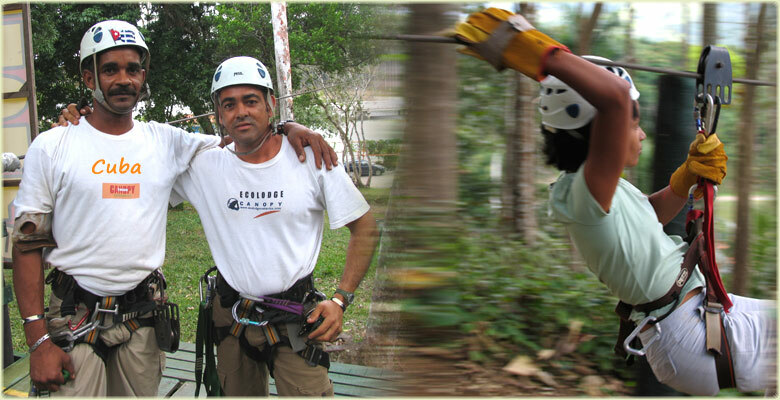 Canopy adventures is a distinctive journey in to the natural world. Canopy Zip_line La Terrazas, has highly trained personnel and professional equipment, offers everyone an exhilarating opportunity to soar high above the forest floor. Safely fly from tree to tree by traversing along the cables.